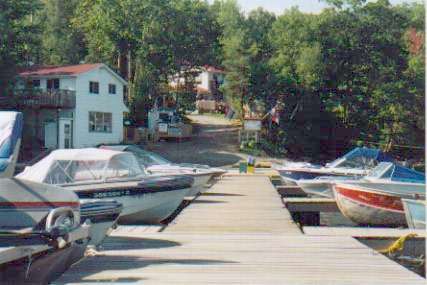 Originating as Reynold's Landing in 1953, the Marina has developed to be a part of today's Eels Lake Cottages & Marina. Our Marina offers a wide variety of marina services for today’s boater. We offer both seasonal and daily parking and mooring services, and boat-launching services. We offer on-site repairs for all kinds of outboard motors. The Marina is a full-service Nissan Marine dealer. Nissan has a full line of 2-stroke motors from 2.5hp to 140hp, and a 4-stroke line ranging from 4hp to 15hp. All motors come with a 2-year warranty. We also buy and sell a wide variety of used boats and motors. Just give us a call and we would be happy to send you an information package.